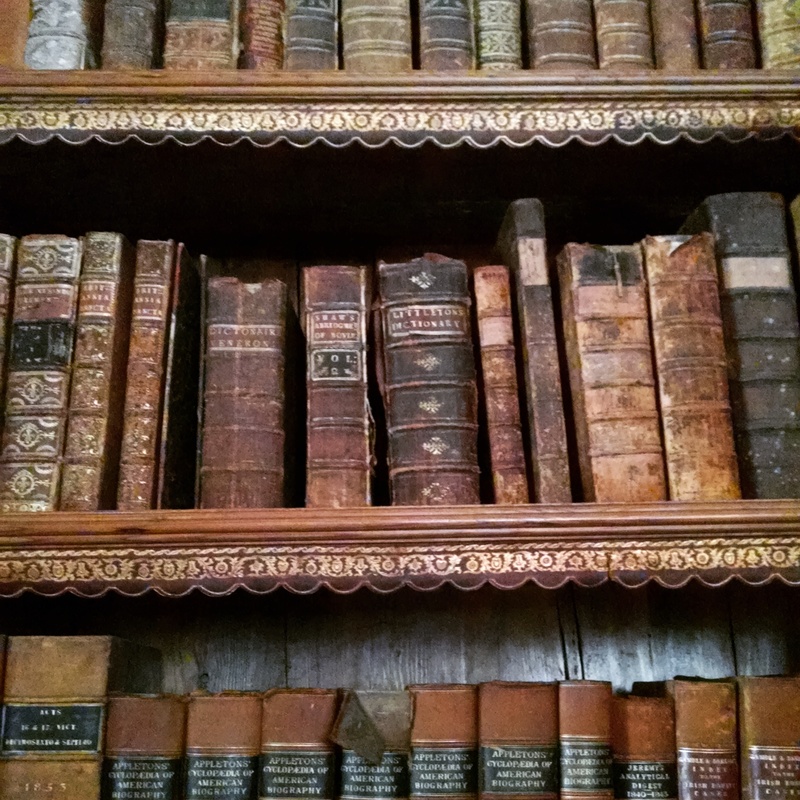 From the library at the Crane Estate, Ipswich. Photo by Meg Winikates, 2015. Earlier this week, Rebecca Herz over on Museum Questions posted an interesting piece in response to the movement for adding more storytelling to museums, wondering if story is as effective as museums wish it to be, and if prioritizing storytelling diminishes the role of museums. There are already a lot of great comments in the thread there and I encourage you to read the responses; I felt like my reaction needed a little more time and space for thought, so here we are. In my non-museum life, I am a writer, an English major, and daughter of a librarian and a former theater teacher, so I fall firmly on the side of story. I agree with the power of story to provoke emotion and generate strong memory and help us make connections between things we know and new facets of learning. I heard Kendall Haven speak and read his book Story Proof, and it made a lot of sense to me. The questions Rebecca raises are good ones, the most central of which seems to be this: museums are seen as places of authority, and what if the stories we are telling are not the ones people are taking away? what if stories are diluting instead of enhancing what we have to teach? 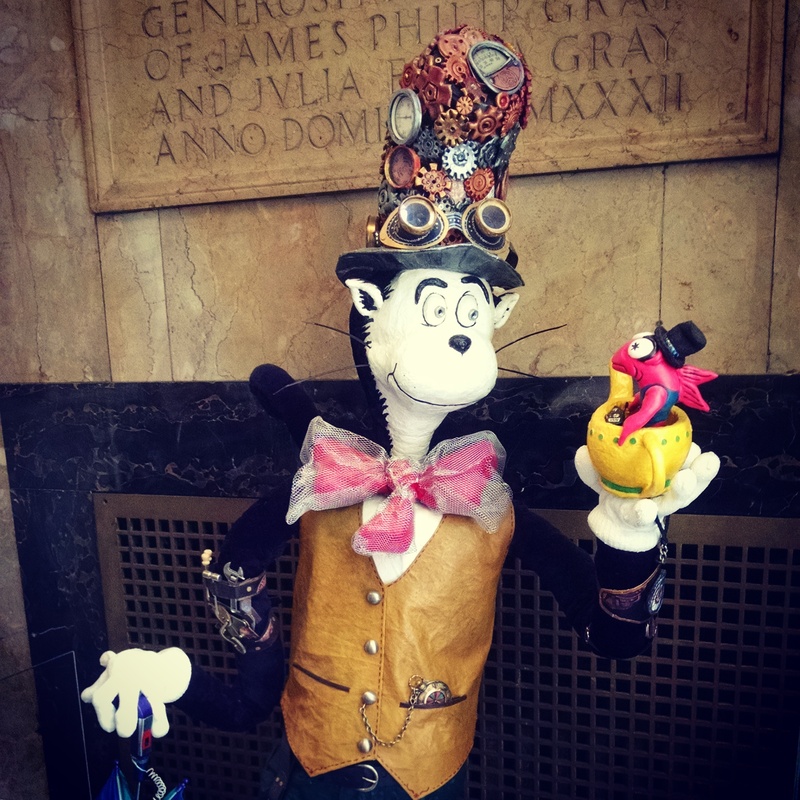 Steampunked Dr. Seuss: a transformative work found at the Springfield Museums, MA. Photo by Meg Winikates, 2015. Once you put a story out into the world, whether you are an author or a museum, you don’t own it anymore. I heard someone say once, “We are not all watching the same show” or reading the same book. People will consume the same set of words and images, but how they interpret, absorb, and remember them is influenced inevitably by who they are already and what they bring with them. Trying to control what they take away or turn it into (such as in the varied reactions of people at the Lincoln Museum in Rebecca’s piece) is impossible. To put it another way: think of a book that hit you just right when you read it, and another that you simply couldn’t appreciate at all the first time; there may be a right time to see a museum exhibit for someone the same way there is a right time to read a book. 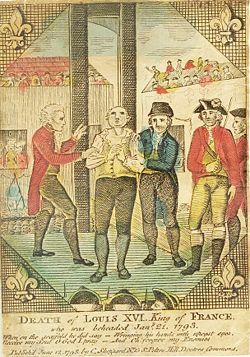 When I first read Jane Austen’s Persuasion, I thought Anne Elliot was a spineless doormat, and boring to boot. I was a teenager. When I re-read that story years later, I fell in love with Anne’s resilience and steadiness, and her belief in second chances. The teenager described in Rebecca’s post who was made so sad by the slave auction diorama that she couldn’t absorb anything else–perhaps she didn’t seek out more information about Lincoln, the Civil War, or civil rights then, but that doesn’t mean she won’t ever take a class on the period in college, or become an activist for social justice in a few years, or a public defender, or an economist. One cannot tell only one story, and one cannot know how it will affect people, and one cannot fret over it. This is equally important for museums and for authors. What one can do, in the museum world, is provide scaffolding and a diversity of access points to your story/collections/mission/exhibit. If everyone is hearing a different story, tell a bunch of good ones, complicated ones with multiple narrators and intersecting themes. Lay out your analytical lines for the people who want to follow them, engage with first person narrative from primary sources, supplement with drama and suspense that put your audience in the center of your tricky questions. Get fully on-board the storytelling train and add a theatrical performance to your exhibit, live or recorded. I spent years as a kid going to the Museum of Science in Boston and vividly remember the theater program Lynn Baum describes in her comments to Rebecca’s original post. The Bog Girl, the cowardice of the Titanic‘s owner (“He did not look back.”), and the possibilities of international space exploration on a mission to Mars (“Don’t eat the samples!”) are burned vividly into my mind, and so are lifelong interests in archaeology (including marine archaeology), Celtic history, geology, and space exploration. To Rebecca’s point about emotion potentially interfering with analysis, I admittedly don’t remember a ton about the specific chemistry of why peat bogs are great for mummification (something about acidity and submersion protecting things from oxidization? ), or the exact range of years from which the Bog Girl originated, but I was, and remain, interested in going to other museum exhibits and reading other National Geographic articles and finding other historical fiction that will tell me more about her world. For that matter, I rarely manage to see a quilt without being reminded of another piece of museum theater I saw on a family trip as a kid, called Quilters, which was all about women’s experiences as frontier settlers (“Sunbonnet Sue getting bitten by a rattlesnake!”). It didn’t make me want to quilt, or settle on the prairie, but it gave me an intense appreciation for the efforts of women who did either or both. Stories may not always have the *intended* effect, or an immediately obvious one, but they always do *something:* inspiration, fascination, curiosity, aversion, imagination, irritation, sorrow. And that something–intended or accidental, analytical or emotional– is still so, so much better than nothing. What catches your imagination? 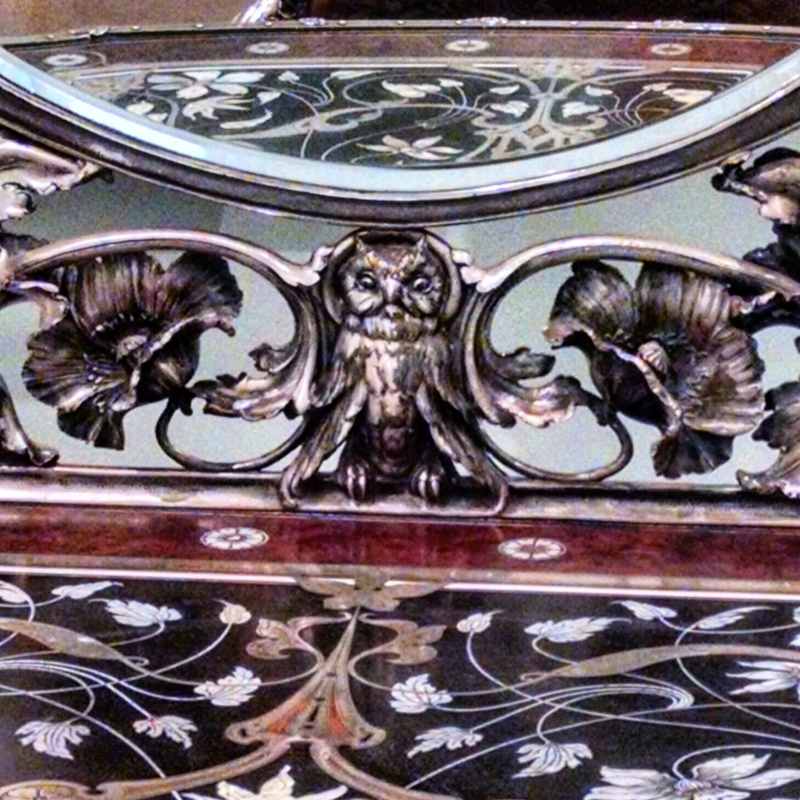 Detail image of a dressing table, RISD museum. Photo by Meg Winikates, 2015. Let’s not be toast. Let’s be a taco buffet, with lots of options for our guests to choose among; soft or hard-shelled, full of protein or mostly toppings, spicy or mild, simple or complex as individual taste demands. Everyone ends up with something that the host can recognize as a taco (exhibit message), and no one goes away hungry (bored). Offer a bounty of stories with lots of ways to get at them (interactives, tours, audio, visuals, touch points, story books, creative response invitations) and enjoy the various voices and viewpoints that result. Make it a potluck taco buffet and invite other tastes/voices in. In the 21st century, fewer and fewer people want the voice from on high dictating the one story, so let’s tell lots of them instead. 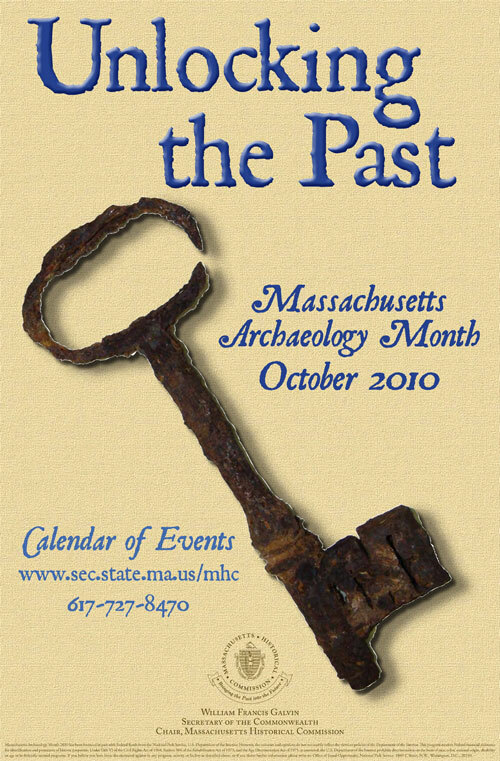 The month is almost over, but I can’t let it go completely by without tipping my hat to Massachusetts Archaeology Month. Since life here at PEM has been very focused on the amazing Emperor’s Private Paradise exhibit, I have to admit I’ve been more tuned to archaeology stories from that corner of the world recently, including this incredibly cool discovery which may make people reevaluate historical trade routes: Could a Rusty Coin Re-Write Chinese-African History? In celebration of which I give you Mint Your Own Coin from the American Museum of Natural History’s OLogy page, which also features fun interviews with archaeologists, make-your-own archaeological stationery, artifact features, and more. If you’re looking for other online archaeology interactives, check out the extensive list at Fun Archaeology For Kids. The list includes lots of different cultures and time periods, with a great many of the interactives created by museums and other reputable sources. Royal blood may be hidden inside decorated gourd. (eeurgh!) An intricately decorated gourd bears traces of blood which may very well have come from a handkerchief soaked in the blood of the beheaded King Louis XVI of France. Personally, I prefer my blood 100% Pure Fake, as in the book reviewed by exhibit interactive wizard Paul Orselli. And if that’s not enough gross and gucky exploration for you, check out Wastewater: Sewage in your face! from the San Diego department of public works, which, among other more educationally rewarding activities, has recipes for making soda and cake that look like sludge. All creeped out? Build an Egyptian tomb, uncover a prehistoric burial, or just make a pasta skeleton, courtesy of artist Kathy Barbro, directions here (or click the picture). Pasta skeleton designed and photographed by Kathy Barbro. Click for link. Disclaimer: I totally love National Geographic. You, my astute readers, will have figured that out already. My family and I spent the long weekend in Washington DC, enjoying a little respite from New England snow, and taking in (as one does, when one lives in a museum-mad family and works in a museum) the cultural sights. Though I’d love to give detailed reviews of everything (kudos to the US Holocaust Memorial Museum, for instance, for a fascinating exhibit design in “State of Deception: Nazi Propaganda” which I wish I’d had more time to explore), I’m going to focus on the original impetus for the visit, which was National Geographic’s Terracotta Warriors: Guardian’s of China’s First Emperor. Sadly, there were no pictures allowed inside the exhibition, so I have no photos of my own to share. Fortunately, they bent the rules for their own bloggers, so there are some fabulous pictures of objects in the exhibition and at least some small sense of the layout available here. One of the things I thought they did best in this exhibit was that each element was allowed its own space: the exhibit areas weren’t over crowded, which was important given how many people were trying to view them, and where two or three statues or other artifacts were placed together, it made sense and helped advance the ideas and context which the audioguide and interpretive panels were trying to convey. 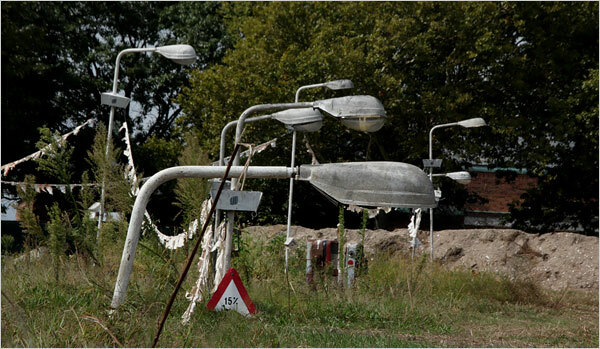 It seems like a very basic and obvious thing to get right, but it’s noticeable in the traffic flow and the overall feeling and satisfaction of the visit if artworks or other objects are placed awkwardly. Overall, however, I loved it. I thought it was fascinating, the figures themselves were stunning displays of individuality and craftsmanship and technique, and the overwhelming impression that I left with was one of a man who commanded immense power and influence, and who, like many strong rulers in other cultures, created an infrastructure that allowed the arts to flourish. Very cool. More fun Chinese themed posts to come as we approach Lunar New Year, but for now I leave you with the events listing for Lunar New Year at the Peabody Essex Museum, which promises to be a huge amount of fun. There’s been a lot of fun stuff going on in the world to do with archaeology! Next week is Archaeology Week at the Museum of Science. Though The Discovery Museums sadly isn’t going to be there this year, we were last year and it was a blast. I highly recommend the Fair on Friday and Saturday. Hopefully we’ll see you there next year, too! Just a few weeks ago, news broke of a hoard of Anglo-Saxon gold and metalwork found in a private farmer’s field by an amateur with a metal detector. More details on Huffington Post and more pictures on National Geographic. 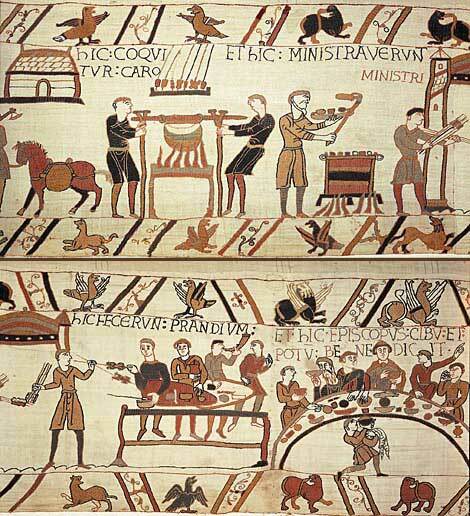 For kid-friendly background on the Anglo-Saxons, check out the BBC Primary History site here, including activity suggestions on the Teacher Resources page. There aren’t a lot of metal working simulation activities out there for kids–I intend to do some playing around with aluminum foil to see if I come up with anything fun, and if I do, I’ll be sure to post it. Have you ever heard of Goverthing, the lost New York settlement last seen around the mid-1950’s? Neither have most other people, but in a really neat confluence of art, imagination, and archaeology, visitors to Governor’s Island witnessed a dig uncovering this buried town. Playing with the ideas of how we look at history, what we believe based on what’s buried in the ground, and just how gullible people are or aren’t, this exhibition looks like it was a lot of fun.